Memorial Day 2015. This is a day for remembering all those who served, in uniform and out, in war and in peace, to make this a safer world. Every family has its memories: fathers and brothers who never returned home as well as those who returned forever changed. In my family the veterans of World War I and World War II — those who served and those who waited for them — are all gone. They all had their stories. 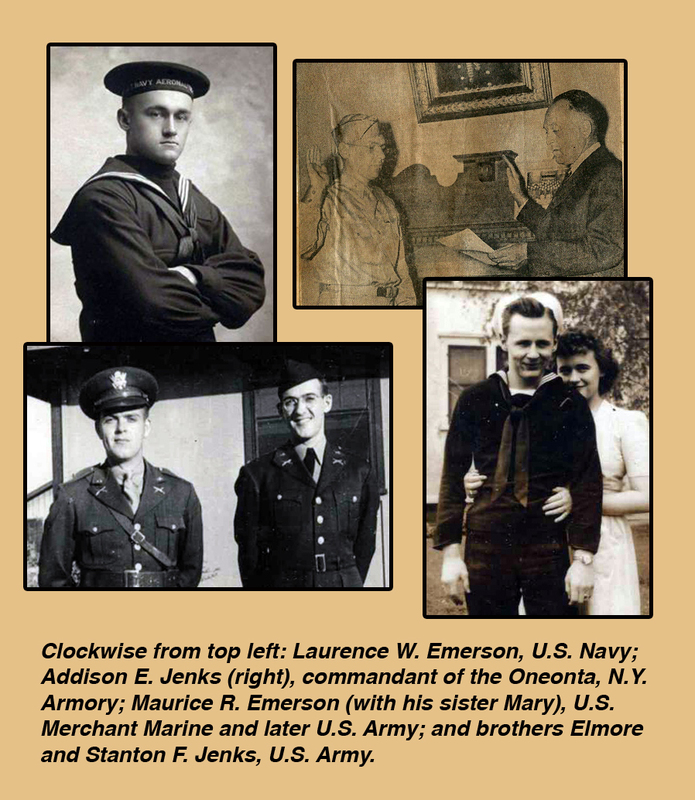 Grandpa Emerson served in the U.S. Navy in France during World War I. Grandpa Jenks was a U.S. Army corporal during the great war, and he ran the Oneonta, N.Y. Armory for many years. Uncle Maurice, my mother’s brother, tried in vain to enlist in the Army after Pearl Harbor, but he was turned down because of poor eyesight. Anxious to get into uniform, Maurice joined the Merchant Marine and helped transport war materiel and essential items to the troops. Only when the war was over, the story goes, was he drafted into the Army. Uncle Stan was a U.S. Army Captain in the Pacific Theater. My father, Elmore, fought in the bloody battle of Buna Mission in Papua New Guinea. Elmore’s story is told in his diary, which follows. We remember him and all who served, before and after, then and now.